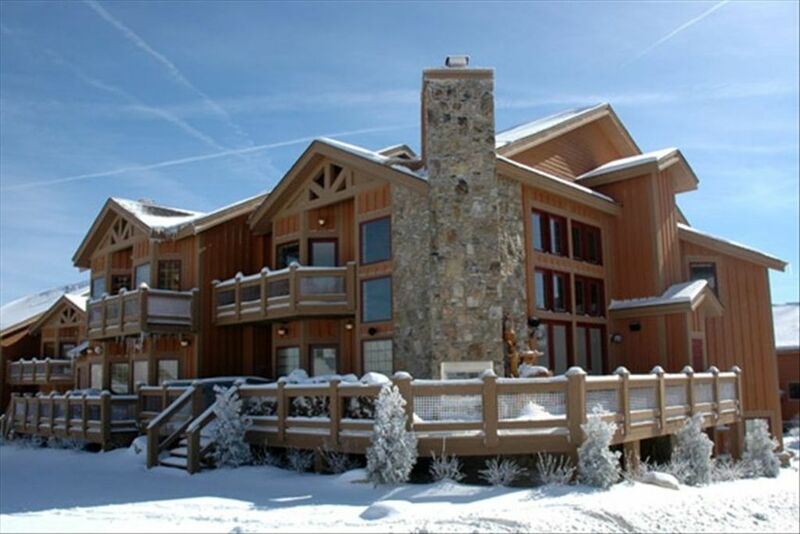 Come have a wonderful vacation in a beautiful mountaintop townhouse located on Seven Springs Resort property! Perfect location for year-round fun and activities!! Luxury 4 bedroom, 4 bath, ski-in ski-out townhouse at Seven Springs newest mountaintop community: SOUTHWIND AT LAKE TAHOE. The townhouse has 4 bedrooms featuring 3 king size beds and one queen size bed. One of the king size bedrooms also has a twin-over-full bunk bed. The interior unit has 2,400 square feet of living space with two stone fireplaces from floor to ceiling. It is located directly on the private Southwind community ski trail and lift. Ski down to the lodge at Seven Springs and access the entire mountain. Then ride the lift conveniently back to your unit. The unit is located close to the Southwind pool and hot tub which is wonderful during the summer months. The townhouse has high-speed wireless internet, six TV's (most are new 4K Samsung sets) with ALL of the premium movie channels, two DVD players, a gourmet kitchen with new stainless steel appliances, granite counter tops and hardwood floors. Natural gas fireplaces are located in the main level living room and the downstairs family room. There is a heated one-car garage and a gas grill on the expanded main level deck which seats 12. The unit has central heat and air and sleeps 11 comfortably. The lower level has a family room with a soothing fireplace, custom bar, custom ski changing/storage area, a large private bedroom that sleeps five and a full bathroom. The townhouse is luxuriously furnished. Please be sure to see our wonderful reviews from our guests. Area attractions include: Fallingwater, Fort Ligonier, Idlewild Amusement Park, Johnstown Flood Museum, Kentuck Knob, Laurel Caverns, Living Treasures Animal Park, Somerset Historical Center, Whitewater Rafting, and the Caddy Shack Family Entertainment Center. Festivals and Special Events: Autumnfest, Polka Festivals, Wine and Food Festival, Winterfest and Summer Concert Series. Enjoy beautiful mountain views from the family room deck and the private master bedroom deck. Southwind's private community ski lift allows you to ski-in directly to your unit. Ski from the lower level patio down the mountain to the lodge at Seven Springs Resort!! Premium high definition cable package with ALL of the movie channels (HBO, Cinemax, Showtime, and Starz & Encore). Located on lower level just steps to community downhill ski trail. Community pool with hot tub at nearby recreation center. Open during the summer months. Perfect ski in and out lodge! The place is beautiful with plenty of space. We really enjoyed our stay and my only complaint was that we didn’t stay longer. Our group of 10 loved it! Highly recommend; amazing, luxurious property, and the ski-in, ski-out was superb! Owners fantastic to work with. This place has everything you need - fantastic ski in/ski out, CLEAN and comfortable rooms and beds, fully stocked kitchen and Brian is very responsive and helpful. Our 4 teenage boys loved having the lower level all to themselves with its living room, large bathroom, bedroom that comfortably sleeps 4, and ski equipment storage area just inside the door to the ski slopes. This is our second year back and we hope to stay here again next year. We had a fantastic time. The house was incredible with all the amenities. Perfect spot for skiiers and snowboarders, as it is a true ski in-ski out. Brian is also a great host! Would absolutely book it again. It was very nice - clean, well stocked, very comfortable and a perfect place to stay for our ski vacation. My older kids are not easily impressed and they loved the property. And the the floorplan, having a bedroom with bunk beds and lovely living area in the lower level - worked perfectly for out 4 toddler grandchildren. Being on the shuttle route is a MUST for our family and we utilized that a lot!! It coul not have been better!! and Brian , the owner, was so nice and easy to communicate with!!! This property was perfect for my son’s wedding weekend. It was clean and had every amenity we needed. It was the perfect location and plenty big for the whole bridal party to get ready on Saturday. The bridal party and Most wedding guests were staying at the main hotel so shuttle service made it so easy for everyone to get around. Loved the two living areas, and the beautiful view from the outside deck. The location was also perfect because it was so close to the Southwind Clubhouse where we celebrated the happy couple with a family style rehearsal dinner. Thanks again for everything. Zip lines, Alpine Slide, Alpine Tower, Disc Golf, Eurobungy, Hydrobiking, Kids Camps, Paddleboats, Rock Climbing Wall, Paintball, Scenic Chairlift Rides, Sleigh Rides, Segway Tours, Snow Tubing, Summer Tubing, Indoor Swimming Pool, Sporting Clays, Bowling, Downhill Bike Park, Hayrides, Sand Volleyball, Exercise Room, Fitness Trail, Mountaintop Campfires, Picnics and Concerts. Spring/Summer/Fall rates: $600 weekend nights.....$450 weekday nights. Three-night minimums for holiday weekends. SKI SEASON: Three-night minimums for all prime ski season weekends from late December to early March. Four-night minimums for New Year's Eve, MLK, and President's Day holiday weekends. Weekly rates available upon request. Professional cleaning and inspection included. We add a fully refundable $300 security/damage deposit. Our rental calendar is kept current. Pending contracts will not appear on calendar. All rates are flat rates with absolutely no additional fees.